Estelle has been sent away to face her fears. Four years after she was locked in an attic by her mother, her doctor believes its best to spend time out in the open but completely alone. The first day goes well but then Estelle starts hearing things and seeing strange shapes out in the meadow. Calling for help from her old friend Sandor the two of them find themselves up against a strange and unnatural force, born in the forest behind the cottage. The force are made of shadows and not only are they there to scare, they are there to kill. This book was spooky and scary for the first few chapters, then it turned into a mad scientist story and then it just went insane. There were great bits and there were not so great buts but one thing’s for sure, you will not trust anyone after reading Soul Shadows. The story was really great for most of the book and that’s what kept me reading. I liked the conversion from spooky story to science fiction and I liked the background to the shadows. However I do believe that the final chapter completely changed my opinion on the story and it did feel like perhaps the author reached the point where they knew it needed finishing and just quickly finished. The writing was great when the action was up and running but it did dither in places when the quieter stuff was going on. Right at the beginning there was a spooky element to the story and the writing brought that across really well but the stuff in the cottage itself was a bit slow and the stuff with Sandor was also a little off. I enjoyed Soul Shadows but unfortunately it didn’t blow my mind. I think that a younger audience may enjoy this more than an older one so I would likely recommend it to the older MG or younger YA audience. 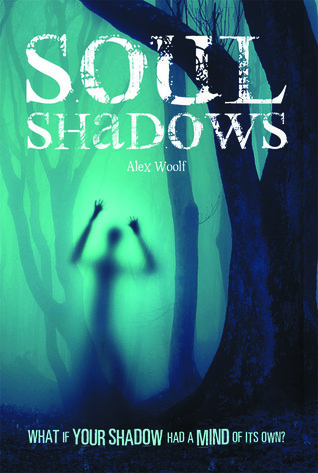 Soul Shadows was published on April 11th 2013 by Curious Fox. My copy was sent to me from the publisher in exchange for an honest review.